Indeed, it would be fair to wonder whether the driver survived the crash in good shape? Well, Torque News is happy to report that the driver did escape serious injury in the accident, suffering only from a few cuts and bruises. He did go to the hospital to have his injuries checked, but he was quickly treated and released for minor injuries. The incident began as Scott Shepherd tried to avoid a bucket that launched from the bed of a nearby pickup. The bucket fell into the traffic lane after the truck cut Shepherd off. Things went from bad to worse at this point. Losing control of his mid-engined two-seater, Shepherd’s vehicle then smashed into a semi. As it did, the M2 suffered significant structural damage; even the fabric top fell in and surrounded Shepherd. He couldn't get free easily because the steering wheel blocked his exit. Using his shoe, Scott managed to exit the very broken MR2 through the remains of the convertible roof. Now, there are those out there who probably believe it was pure luck that Scott escaped the vehicle without large dents of his own. However, it was more than sheer good fortune. The MR2’s engineering team built lots of safety into the two-seater. Indeed, Scott had nothing but praise for them. 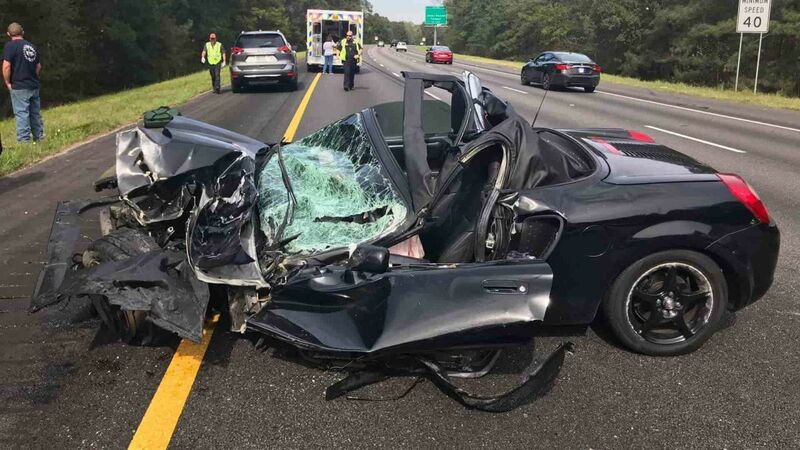 “Kudos to Toyota engineers,” Scott enthused because “I shouldn’t be here right now.” As pointed out by Motor1.com, this particularly nasty crackup shows you the progress Toyota has made regarding safety. Even as far back as 2001, Toyotas were saving their operators from serious injury by major smash-ups due to safety engineering. As to the MR2, Toyota phased it out back in 2007, after three generations. Lately, though, the automaker has been dropping hints that the MR2 may be back. If it does return, it is likely that the MR2 would fit into the niche between the 86 and the revived Supra.